http://store.cdbaby.com/cd/denmanmaroney18 2 months 1 week ago. Denman Fowler Maroney shared a link. 2 months 1 week ago. http://store.cdbaby.com/cd/denmanmaroney15 2 months 2 weeks ago. http://store.cdbaby.com/cd/denmanmaroney13 A recording of a performance I did on Mar. 12, 2016 at Art Omi at the opening of the exhibit of Anne Lindberg's piece Fold and Unfold. 2 months 3 weeks ago. 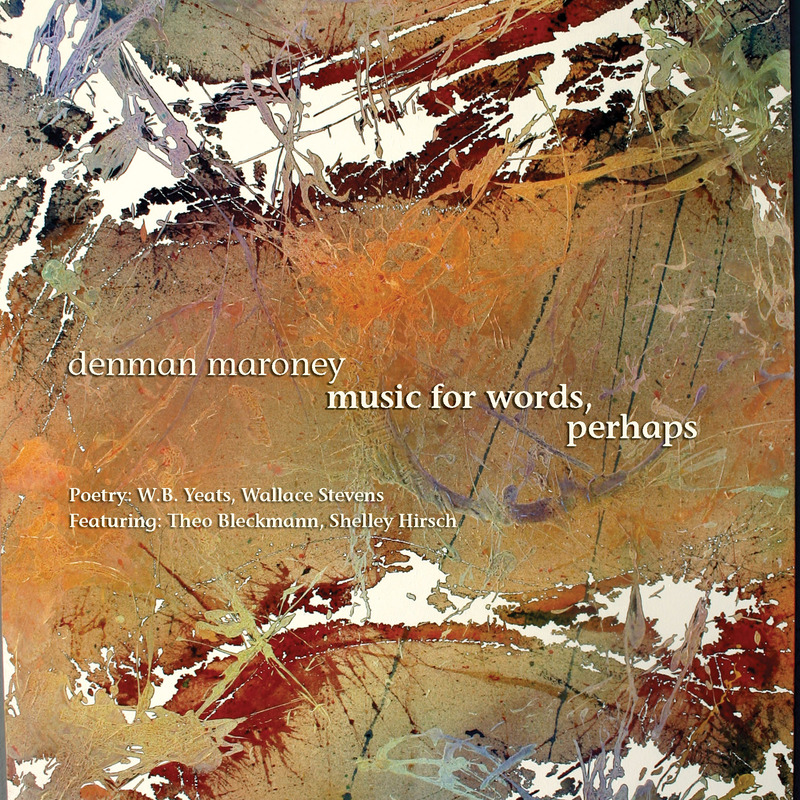 This is a CD of songs written by Denman Maroney to words by William Butler Yeats, Wallace Stevens and himself, sung by Theo Bleckmann, Shelley Hirsch, Sheila Schonbrun, and himself, accompanied by Herb Robertson (brass), Arthur Kell (bass), David Simons (drums), and himself (piano). They might be jazz, or they might be classical; suit yourself. The group known as Iota Jot Yod performs the Stevens and Maroney settings. Denman Maroney, besides being a component of the renowned ensemble Gamelan Son of Lion, is also an excellent pianist and composer, in this new cd Innova are presented two song cycles, the first male voice and piano, the second for quartet (piano, trumpet, bass, percussion) and female voices. These songs are for the truth between the classical lieder and the song itself: the first have a formal structure sufficiently developed, that can not be reduced to the schema as verse chorus, and the use of texts by real poets (in this case, WB Yeats and Wallace Stevens), while the second have a direct and immediate enjoyment, due also to use natural and not set the voice. The piano played by Maroney is a prepared piano, whose sound evokes scents and sounds Eastern. Maroney plays it now gently, now with a great sense of swing, which stands out especially in the second cycle of songs, clear jazz flavor, and even more in the final song, so this a real song, accented gerswhiniano, where ability of lead singer singing the greatest display of self-harm, climbing virtuously nonsense phrases on the track and season with impressive improvisational passages. ...it's clear that Maroney has very specific ideas for these chiseled words.